Official Viwawa Blog: Disney Fever Hits Viwawa Town! Our wawas are feeling hot recently. It must be the wave of Disney items that are flooding Viwawa Town! Some of you might have already seen our newest feature, allowing gamers to create Disney theme'd wawas. 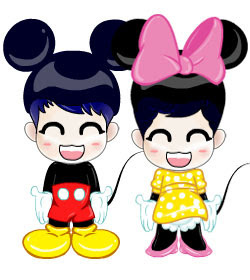 Join in the fun to create your new Disney Wawas. 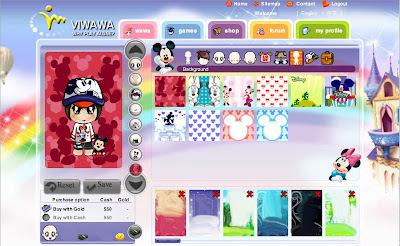 Just log into Viwawa, and under the 'Wawa' header, click on 'Disney Creator', and go have a fabulous Disney time! er..admin ar. why all cash one.. no gold option to purchase at all?? very "pek ceh" leh. wan to creaTE A KAWAII WAWA BUT..HAIZZ..
haha u admin wrong place liao le..there's no admin here! i sent sms, but no reply.all these things are hoax or wat? yea i purchased cash,just few,yet is it insignificant for y'all to take care about? Well, our sms system also depends on the telco that is handling this. We also not sure why you did not get any cash. i dont see any disney wawa tab! anyone help me??? how can i add the disney wawa tab? i also can not see my disney tab.. The drop down bar should appear if you mouse over the 'Wawa' tab. Make sure that the page is fully loaded. How come all the disney items are all cash? Cant we buy them from gold? Viwawa's Disney creater got gold option is better! admin... why my account not have disney creator? can u tell what can i do or how to update disney creator?